DEREK R. KOBAYASHI, a Member of the firm, advises clients in litigation matters. While his present focus is litigation, he also has experience in real estate, business law and estate planning. Litigation: Represented individuals, partnerships and corporations in an array of litigation matters which have included trial, appellate briefs and oral argument before the Hawaii Supreme Court, plaintiff and defense work in personal injury cases, contract disputes, wrongful termination, foreclosures, fraudulent transfer actions, collections, ERISA, and construction litigation. Also represented attorneys in defense of malpractice claims, advised major insurers on coverage issues and defended claims against insurance agents and brokers. Real Estate: Represented parties in transactions and litigation, including preparation of purchase and sales agreements, formation and termination of commercial leases, summary possession actions, quiet title actions, eminent domain and land use proceedings. Business: Represented individuals and businesses in an array of transactions, including stock purchases and sales, corporate formation, limited liability company formation, contract negotiations, and various business transactions. Derek Kobayashi was recently selected by his peers for inclusion in The Best Lawyers in America 2019 in the practice areas of Commercial Litigation, Litigation - Real Estate, and Litigation - Trust and Estates. Mr. Kobayashi was trained as a mediator while attending the University of Hawaii. He serves as a Lecturer-In-Law at the William S. Richardson School of Law, teaching Pretrial Litigation. 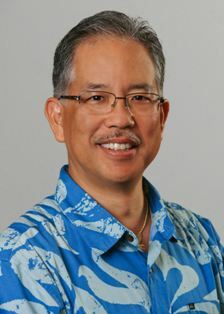 He enjoys community and pro bono work and in 2010 received the Pro Bono Achievement Award from the Legal Aid Society of Hawaii and in 1999 received the Hawaii State Bar Association's Ki`e Ki`e Award, given biennially for outstanding pro bono service. In his spare time, he enjoys time with his family, shoreline and deep sea fishing, competitive volleyball, snowboarding and public speaking. Kobayashi, Derek R. "Feature: Pro Bono Legal Services: Stepping Up To Provide Hope," Hawaii Bar Journal, December 2013. Kobayashi, Derek R. and Camp, Kelly M. "Feature: Tips for Filing: Civil Documents in Compliance with Recent Amendments To The Hawai'i Rules of Civil Procedure and Rules of the Circuit Court of the State of Hawai'i," Hawaii Bar Journal, August 2012. Kobayashi, Derek R. "Feature: Pro Bono Celebration: Critical Need For Pro Bono Services," Hawaii Bar Journal, December 2008. Kobayashi, Derek R. "Feature: Tips for Motions in Hawaii State Courts," Hawaii Bar Journal, April 2008. Kobayashi, Derek R. and Ito, Mihoko E., Editors-in-Chief. "Hawaii Vehicle Collision Manual, 3rd ed.," Hawaii State Bar Association, 2006. Kobayashi, Derek R. "Feature: Pro Bono Celebration Giving: A Beautiful Compensation," Hawaii Bar Journal, December 2005. Kobayashi, Derek R. and Mihoko E. Ito. "Feature: Hawaii Motor Vehicle Insurance Law Update." Hawaii Bar Journal, August 2005. Kobayashi, Derek R. "Feature: Pro Bono: Celebration: Let Us Aspire to Perspire." Hawaii Bar Journal, December 2004.